Who is responsible for regulating the safety and efficacy of blood and blood products in Australia? The responsibility of producing safe and effective blood products rests with the manufacturers of those products. However, governments have appointed a regulator to make sure that manufacturers uphold the standards required by Australia. Blood and blood products, whether domestic or imported, all have to meet stringent guidelines. The Therapeutic Goods Administration (TGA) has primary responsibility for regulation of products and establishing production standards for the Australian blood sector. For more information, visit the TGA website. issuing directives such as donor deferrals. How is the safety and efficacy of blood and blood products ensured in Australia? There are a number of standards and principles employed in Australia to ensure the quality, safety and efficacy of blood and blood products in Australia. These include pre-market assessments, testing and auditing measures for blood and blood products and manufacturers. All manufacturers are subject to the Australian Code of Good Manufacturing Practice - Human Blood and Tissues and are required to have licences, which are issued by the TGA. TGA conducts audits of manufacturers to ensure compliance. There are a number of strategies in place to ensure both safety of donors as well as the blood supply. 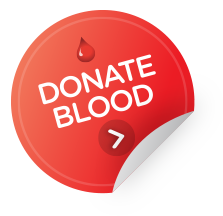 The donor selection process involves each donor filling out a form so that the Australian Red Cross Blood Service (the Blood Service) can assess their eligibility to donate. They also participate in an interview and undergo a mini-physical check. The Blood Service then assesses their eligibility based on criteria outlined in the Guidelines for the Selection of Blood Donors (GSBD), which lists the eligibility criteria for acceptance and deferral of blood donors. The GSBD is reviewed and approved by the TGA. For more information, visit the Blood Service website. The TGA has an Adverse Drug Reaction Unit which monitors the blood sector through feedback received. Visit Where do I Report Adverse Events for more information on reporting to TGA. Track and trace mechanisms are also in operation which ensure that all donations can be tracked from entry point in the system to the final product and recipient. All blood imported products must be able to traced through the system. Product recall processes rely on the trace mechanisms to ensure the safety and quality of products. The Australian Red Cross Blood Service has commenced a sample archive process. This involves keeping a small sample from each blood donation to allow for testing to support identification of blood supply risks and analysis of adverse events.